Description: Once upon a time a gold young frog was having a wonderful time perching on a pond surrounded by sparkles. She spent all day croaking, hopping, and singing what her heart desired. 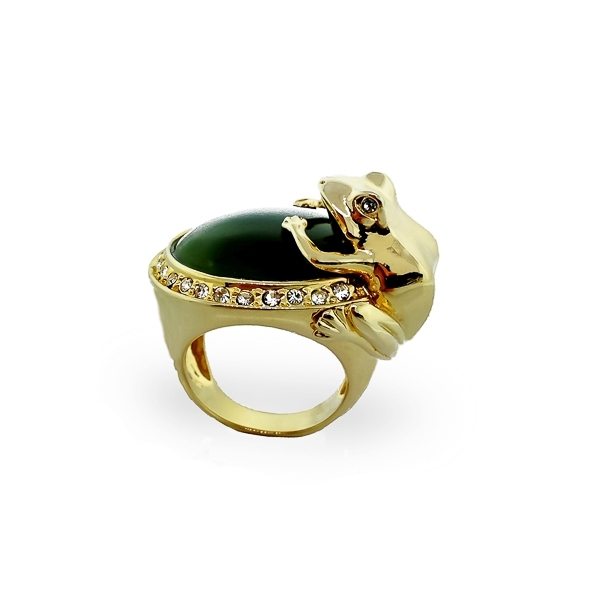 Material and Measurements: 14K Gold Plated Base Metal, Resin Stone, Crystals - Focal Point 1" X 1"
Enter Quantity for R-AE042-YG to add to your shopping cart.